Reggie & Bentley in full effect! 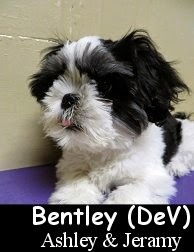 Today we had an adorable little dog-guy, named Bentley, in for his Assessment. He is a striking, four month old, seven pound, black and white colored, Maltese, Shih Tzu, and Lhasa Apso Mix. Your normal, happy and healthy puppy, Bentley, was super-ready to go this morning. We headed up to the Little Roll with him, teaching him "stairs" along the way lol. Once in the Small Dog Play Area, Bentley was fascinated with his new found place, and he seemed to know that fun was in store for him. As the pack entered, Bentley greeted each member joyously, but not too rowdily, which is good for a young pup. Some pups get too excitable when meeting other dogs, which leads to them having to be "corrected" by the elder canine. Bentley "fell head over heels" for little Shih Tzu puppy, Emmy, when she arrived. The two dogs played wholeheartedly throughout the day, making the perfect pair. Bentley's owner is doing a fine job with him. He should grow up to be a well balanced and quite social adult canine. Swell job! We look forward to having both, Reggie and Bentley, into The Fort again real soon. Yesterday we met the proud Shep. 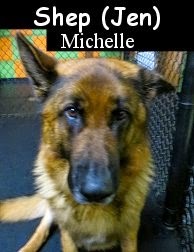 He is a recently rescued, five year old, one hundred pound, black and tan colored, German Shepherd. New "brother" of Fort Fido regular, Lucy, Shep came into the lobby calm, and most ready to start his day. In the Big Roll, he kept cool and showed a pleasant confidence. It's clear that Shep has socialized with other canines many times before... As the pack arrived, he met with each member in the proper way, exhibiting very good canine communication skills. Shep got into lots of play in a short amount of time, taking on some of our most "rowdy" and regular Big Rollers, including, Nevada, Jack McCoy, Reilly and Theodore, just to name a few. All in all, Shep did downright awesome, and we were really happy for him, his owner, and his new "sister" Lucy. I'll let the following clips, from yesterday, speak for themselves. Shep may visit us here at The Fort whenever he'd like, welcome dude! P.S. Ah, here's one more clip, from today, of Shep and Lucy, interacting at Daycare together. Fun! This morning Fort Fido's crew got to meet Iris. 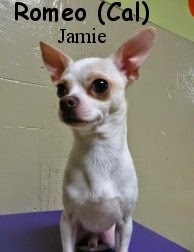 She is a sweet and pretty, one year old, ten pound, blonde and white colored, Chihuahua Mix. We led Iris to the Little Roll Play Area upstairs. Up there, she was bit hesitant at first, wondering where the heck she was, and what she was supposed to do. Thankfully, after only a few minutes, Iris began to "blossom". She met with Alexander, Rusty, Cisco, and then Walter... Those early morning guests are kindly canines, that helped Iris feel quite calm and balanced here. Fitting in with the pack well, Iris really started to enjoy her visit as the morning progressed. She socialized happily and seemed to have a good time. The Fort is thrilled to have Iris join our ranks. We believe she'll have even more fun here, and bust out into some play, in future visits. Up for his Assessment Day yesterday, was Eddie! He is a adorable, six month old, eleven pound, Cavalier King Charles Spaniel. This regal little fella hung out with us upstairs, in The Fort's Little Dog Play Area. Upon arrival, Eddie slowly crept around the play area, with his nose to the ground exploring. After some time passed and he got his bearings in the roll alone, it was time for Eddie to begin to meet the pack. Like the happy, cautious, yet curious pup he is, Eddie, met each canine guest that arrived with excitement and slight hesitation. He really did a outstanding job of greeting the others, without being too "in their faces". Often times young pups are "scolded" by the pack, when their greetings are too exuberant lol. As the day progressed, Eddie continued to meet, greet, and enjoy his time at Fort Fido. He even got in quite a lot of play and exercise. 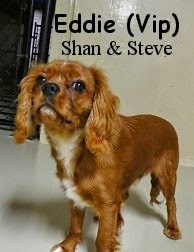 Eddie shall prove to be one fine addition to our Little Dog Pack, we are happy to have him. Way to be little dude, we'll see you next time! In the following clips, you can spot Eddie wagging his tail and trying to keep up with the newness and excitement of the group. Yesterday, we Assessed Otis (Hay). 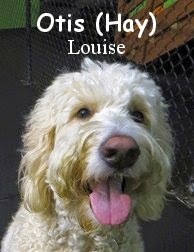 He is a happy-go-lucky, three year old, seventy-five pound, Goldendoodle. One gregarious dog, Otis, entered the Big Roll Play Area with ease and excitement. He was quite happy to meet and greet with every canine that entered after him. Otis held his joyful disposition throughout his whole visit. It was nice to see a new canine so calm and content on a first day... And although he didn't get into too much rowdy-play, he socialized a lot, and truly enjoyed his time spent with the pack. Early this morning we met our second Otis, Otis (For). He is a bubbly, seven month old, forty pound, Cockapoo. Now this Otis is also super sweet, yet he is still much a high-energy and bouncy young pup, one that is still learning manners. To get him started at Fort Fido, we led him to the Medium Roll Play Area, which proved to be a very nice fit . There, Otis explored cheerfully, and got his badge picture taken. After that, it was time to meet some pack members. Otis met first with Cooper, and it was down-right perfect. Almost exactly the same age, Otis and Cooper hit it off instantly! The two lively canines sprinted and spun about the Medium Roll, in a furry of fun play. As time passed, Otis continued to meet with the different dogs that arrived, and most importantly, continued to play tons and have fun. 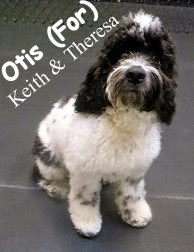 Otis and his owners can get a lot out of Dog Daycare! Both Otis (Hay) and Otis (For) did an outstanding job on their Assessment Days, we plan on seeing them again very soon. Apparently, George Washington, loved dogs, check it out! Take it easy, Happy President's Day. As time moved on, the pack grew, and Skye continued to enjoy herself in the company of all the other "medium" dogs. She fit in well here, and we believe that Fort Fido is the perfect outlet for Skye. She can hone her social skills, and most importantly, get out some of her excess energy. Nicely done today Skye, welcome! Relax this weekend, Happy Valentine's Day! P.S. If you have a special day planned tomorrow, one that your canine companion can't help you out with... Drop them off here for the weekend, we currently have room for Daycare and Overnight Boarding. Yesterday we welcomed Bailey to The Fort. She is a happy, nine year old, fifty-five pound, Mixed Breed. As Bailey walked into the lobby, it was clear that this "wasn't her first time at the rodeo" lol. She was pretty calm and balanced, definitely a mature and happy canine. With that observation, we had Bailey spend her time in the Medium Roll Play Area. There, she met with each and every pack member joyously, as they rolled in throughout the morning. She had somewhat of a "mothering" quality, that really meshed well with The Medium Roll and it's wide array of small to medium sized, young and wile canines. Bailey exhibited great patience with the pack, and specifically, many of it's "crazy puppy" members. Bailey even played a tiny bit with a couple of different dogs, however most of the time, she just cruised around socializing actively. We're pretty sure that Bailey will be doing a lot more playing in future visits to Fort Fido, time will tell. This morning was a BIG Assessment morning... Get a load of Hugo! 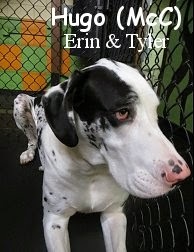 He is a one year old, 150 pound, Great Dane. Talk about a good looking dog (unfortunately our pic doesn't do him justice), Hugo's contrasting colors and harlequin coat pattern make him a site to see. Inside of the Big Roll, he acted fairly calm as he sniffed the floor a bit, in anticipation of meeting some other dogs. After a few minutes passed, the other dogs began to show up, one after another, per usual. Right away, Hugo exhibited to them all, that he speaks quite fluent "Dog", meeting and greeting with each new pack member in the proper way, with much fluidity and canine etiquette. As the pack continued to grow, Hugo continued to socialize well with the other canines, he even began to play a good amount with Jesse and a few others. He's a real "gentle giant", and the pack took to him well. Both Bailey and Hugo are neat canines that are welcome to hang with us here whenever they'd like. We look forward to their next visits! Like all of his artwork, this Valentine's Day themed Chalkboard Art is most stunning. Another great piece from the man, thank you Carlos! Yesterday Team Fido met up with Henry for his Assessment. 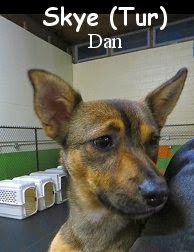 He is a very good looking, ten month old, twelve pound, dapple, Chiweenie (Chihuahua and Miniature Dachshund Mix). Henry stayed with us in our Little Dog Play Area. There, he wasn't quite sure what to make of the place at first... As other canines wondered in throughout the morning, Henry became more and more comfortable with his new surroundings. He spoke good "Dog", and really seemed to enjoy the company of the others. Henry even played a good amount, he chased a few balls around, and even got into a game of "fox hunt" with the pack... That game, consists of one person "fishing" for the little dogs, with a Skinneeez toy as "bait" lol, it's pretty fun and many of our little dogs really enjoy it, some too much so. Nancy came up with this game a while back, and it has a few different names. This morning, Romeo rolled into The Fort for his Assessment Day. 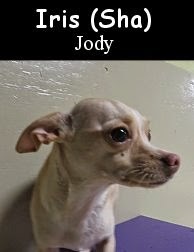 He is a one year old, six pound, white and beige colored, Chihuahua. Romeo is a recently rescued dog, that is new to many things. His owner is working with him diligently, to help him become a calm and balanced canine. Today's visit to Fort Fido, is just another tool, in the work of acclimating Romeo to life-anew. Inside of our Little Roll, Romeo sniffed around, curious, yet very cautious. After letting him get his bearings, it was time for Romeo to begin meeting out pack, which he did comfortably. At home, Romeo is part of a seven-dog pack, that is enabling him to balance out socially, and is getting him to be even more of a healthy "Dog's Dog". Although there wasn't too much activity out of Romeo today, he did do a very good job hanging out here and socializing. Also, as you can see, he is quite a "looker" lol! Romeo was about as photogenic as a dog can get for his badge picture. We would like to see both Henry and Romeo visit us often, they are most welcome here anytime. Swell job lads! Here are The Fort's latest recruits... Two total opposites lol, Emmy & Maurice! We Assessed Emmy on Tuesday morning. 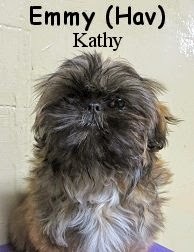 She is a three month old, five pound, brown and black colored, Shih Tzu. This super cute little gal, was absolutely fabulous upstairs in our Little Roll Play Area. She really enjoyed meeting with the other canines and being part of the pack. 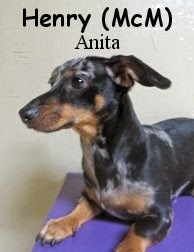 For such a young dog, Emmy, exhibited great confidence and socialization skills. In the following clip, you can spot Emmy scurrying around. Today, we had Maurice in for his Assessment. 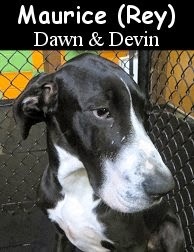 He is a striking, five month old, sixty-five pound, Great Dane. Now Maurice, just so happens to be the "little" brother of Fort Fido Member, Jude, talk about a house-full! Maurice is here to burn off some extra energy and improve his canine communication. In the Big Roll, he did a fine job of that, making pals, and integrating into the pack easily. Maurice even got a chance to meet with a few of our other Great Dane buddies today, Theodore and Verbena. He took a liking to Theodore, and the two dogs frolicked for a little bit right after exchanging sniffs. 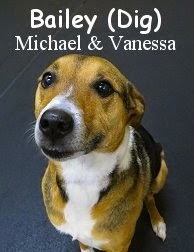 Given strong leadership, time, and consistency, we think that Maurice will become a very well balanced adult dog. We also think that we are going to see a lot more play and activity out of him, in future visits to The Fort. Both Emmy and Maurice are welcome to attend Fort Fido anytime they'd like, we are sure happy to have them! Today we got to Assess the excited young pup, Button, who yes, is as cute as one lol. She is a three month old, twenty pound, cream colored, Labradoodle. 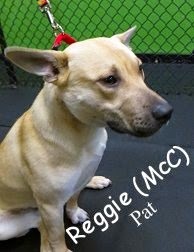 Button strolled right into The Fort today, eager to play with Angel in the medium roll (seen in the video below). Button shined all morning having fun socializing with the pack. We look forward to having Button return for some more fun.